We’ve chosen a decidedly American bird for our July 2016 pick in our 12 Months of Birding at the Inn blog series: The American Redstart. Not only does this feathered fellow have “American” in its name, but you can find it in nearly every state in the continental U.S. during the summer or migration period in spring and fall. 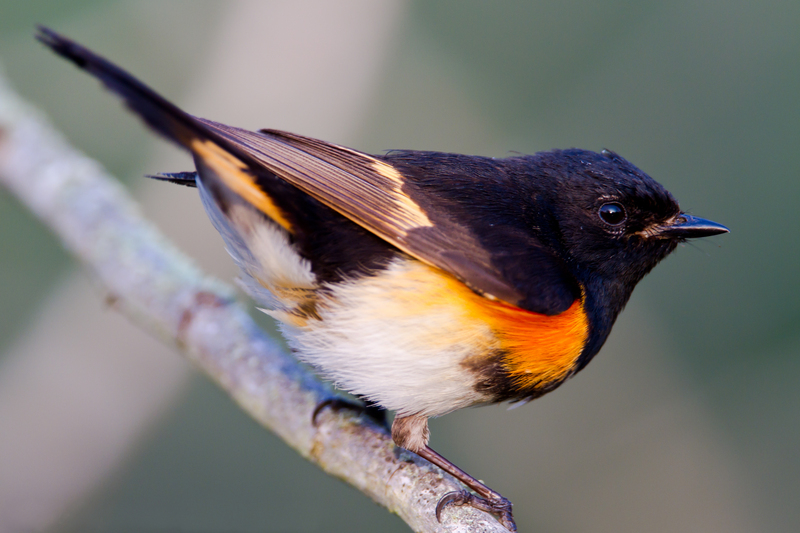 The American Redstart is a warbler and like many warblers, spends its summers in the eastern United States, including Pisgah National Forest near Asheville. An insect lover, its diet consists of flies, caterpillars, moths, beetles, wasps and such, but it also likes berries and small fruits that can be found here in the late summer, including those of the barberry, serviceberry, and magnolia. When you stay at the Inn on Mill Creek Bed & Breakfast here inside the national forest, listen for the American Redstart’s song, which is described in the Audubon Field Guide as “5 or 6 high-pitched notes or 2-note phrases, ending with an upward or downward inflection: chewy-chewy-chewy, chew-chew-chew.” The American Redstart is also fairly easy to spot as it flits around looking for insects to catch in mid-air. It will often fan its tail, too. The males have a jet black head and mostly black body with bright orange and yellow patches on its lower sides, wings and tail. Females have gray bodies with yellow patches. 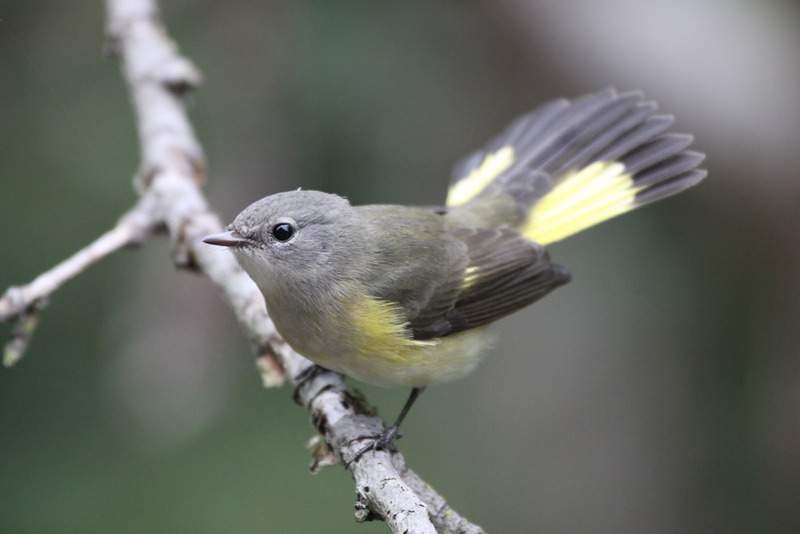 If you’d like to try catching a look at the American Redstart while visiting the mountains of western North Carolina, we recommend coming before the end of August as this little flashy bird is considered to be an early migrator and heads to its winter home in South America in the late summertime. This entry was posted in Birding in the North Carolina Mountains and tagged 12 Months of Birding at the Inn, birding, flora and fauna, Summer by Inn on Mill Creek. Bookmark the permalink. We just had a female American Redstart trapped in our porch in Blakeslee, Northeast PA. Of course, we helped her out. I am hoping to see the male, thinking they would travel together.